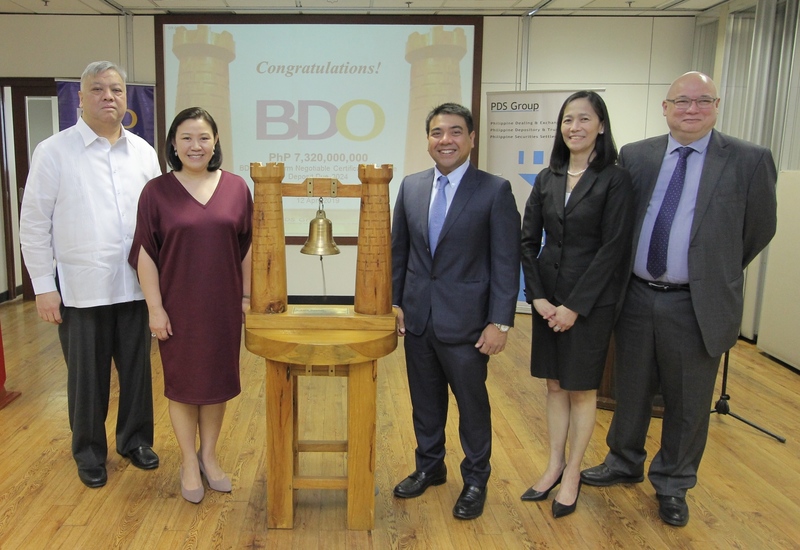 12 April 2019, Makati Philippines – BDO Unibank, Inc. returned to the local debt market second time around this year to list its PhP 7.32 Billion worth of Long-Term Negotiable Certificates of Time Deposit (LTNCTD) on the Philippine Dealing & Exchange Corp. (PDEx) bourse. Out of the six listings this year, five have come from the banking sector with a total of PhP 83.04 Billion worth of debt instruments out of the PhP 83.82 Billion. The total outstanding amount of bonds listed on PDEx rises to PhP 1.115 Trillion and of that total, PhP 332 Billion or 29.8% are from financial institutions. BDO has PhP 69.82 Billion or a 21% share of the listed issues from financial institutions.